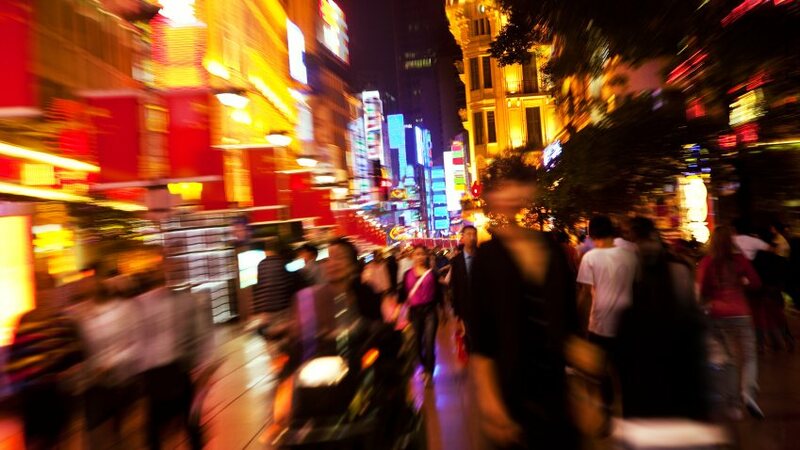 Published in 2005 in Australia China Connections, on the lead up to the Beijing Olympics, it was clear that amidst increased competition and consumer awareness, companies now need brand building to thrive in China. In 2008 in Beijing we’re likely to see a very stylish and branded Olympics. For the world watching, the perception of China will become one of a progressive global power, deft in its orchestration of the symbols of economic success. Their slogan “One World, One Dream” represents the Olympic spirit as well as China’s growing aspirations. As BOCOG president Liu Qi has said, “It conveys the noble ideal of people in Beijing as well as in China to share their civilisation and create a bright future hand in hand with people from the rest of the world.” This sentiment is also a strategic shift away from their previous bid-winning slogan, “New Beijing, Great Olympics,” which somewhat missed the point. So, perhaps the change of slogan is more symbolic than the new slogan itself, because it signifies a moment of maturity when China ‘gets’ branding. The country is currently grappling with the transition from being producers to being consumers as well as producers, and by 2008 it will have shifted towards being a country of consumers as well as producers of brands. Companies will wish to engage their customers in order to gain loyalty and maintain a price premium, rather than compete just on cost. Meanwhile, personal and business consumers will want to know what the value exchanges are; what relevance a product or service has to them; and how one choice is meaningfully different from another. Companies with interests in China need to start taking branding seriously. For the world’s fastest growing economy with 1.3 billion people spread across 9.6 million sq km; with population densities ranging from 5 to 5000 per sq km; and with 2,100 television stations, it’s clear that China is not just one market. The retail market alone is currently worth over US$240 billion, and a huge 13% of the population (175 million and rising) can now afford luxury goods. As prosperity has increased, so has the middle class, and thanks to massive over production of televisions and wide reading habits they are also informed of their significance in the world. They have aspirations for overseas travel, and are starting to identify with both local and international brands. For the less well off Chinese, who also see some personal (and collective) identity benefits in association with certain brands, but cannot afford the premium prices, the counterfeit market is an appropriate stepping stone. The irony in this is that China – which has been exploited as a vast sweatshop for the West – now has growing aspirations for a more affluent lifestyle and the symbols and associations that come with it. There are few scruples to quell the counterfeit market, and it’s easy to make cheap fakes – it’s just more of the same low cost production with logos. Entire regions are known for fake Marlboro cigarettes or Philips light bulbs. Half the world’s 14 billion batteries are made in China, and most of them are fakes of major brands. As a natural extension of business activity they are gaining international distribution, as was evidenced by the recent shredding of 45,000 fake Nike trainers by Brazilian authorities. The counterfeiting industry is also impacting on Chinese brands. Although brands per se haven’t existed in China until recently, there are 1,600 historically admired companies, from Wangmazi Scissors to Flying Pigeon bicycles which have been blessed with the heritage status of Laozihao since 1990. It is a harsh twist of fate that reveals them to have the most potential for brand building – via true story telling, honours from the Imperial Palace, deep seated Chinese values and real, rather than borrowed, authenticity – but they are losing relevance due to an inability to express these attributes or evolve products in a contemporary brand- driven way. Around 90% of the Laozihao are struggling to survive and companies like 350 year old Wangmazi Scissors have gone bankrupt due to competition with 5 million inferior quality fakes each year. One method of reinforcing brand value, and thereby undermine the counterfeit market, is through retail presence – which visibly builds authenticity. In Shanghai, hypermarkets now take up 30% of retail space, but whilst this is much needed outlet space, it also increases the level of competition. However, fakes are not likely to go away any time soon, because around US$16 billion a year is dedicated to this replication, and the government can’t afford to damage the economy by clamping down too firmly. In the FMCG market, Wall’s ice cream has had to make several adjustments to their business and marketing approaches as they’ve learned the peculiarities of the market. Peter Ter-Kulve, CEO of Wall’s in China, notes that, “It is a huge and extremely diverse country. There is not ‘one China’, but a number of different markets. There is local competition, local government, local trade structures, local consumers with local preferences, all of which need to be analysed and understood, territory by territory.” Even regional differences in the flavour of the same root vegetable can add unforeseen complexities. For Wall’s, the answer to their success is their commitment to local staff and their brand. What local staff lack in marketing experience, they more than make up for in local insight. And the brand drives all strategy and consumer touch points, with the solid backup of research. Vienetta is a case in point because the Chinese don’t eat desserts. The advertising campaign has instead shifted its focus to a shared experience as a treat amongst aspiring young professionals who wish to connect with the symbols of international success. Wall’s also have a number of retail outlets, which enable them to get closer to the consumer, and build a brand experience that heightens consumer awareness and loyalty. As part of a long term strategy within the company Peter Ter-Kulve suggests his successor should be a local. BHP Billiton, despite contracts to supply Iron Ore to China for the next 25 years, is also taking their branding seriously. In 2001, when they launched their new identity, it was received with mixed reviews and misunderstanding in the mainstream press, who viewed the branding as just an expensive new logo. However, when done properly, branding is not just about the consumer touch points – it’s about the entire corporate culture, processes and practices, and the ethical and business values that drive the company forward, and feed into the wider world as coherent consumer perception. BHP Billiton understand this and have a Charter at the heart of their brand which outlines the values and measures of success they aspire to. Following the 2001 merging of BHP and Billiton, (each of which had strong existing presences in China), an appropriate new name was required for the Chinese market. It was chosen by a committee of Chinese nationals and with ideas from Chinese staff. The result addressed the trust-forming story telling requirement for heritage in China, the meaning versus phonetic characteristics of the language and a connection with the English name. Their new name, Bi He Bi Tuo, means that two companies have joined together and will develop strongly into the future. Kennedy says: “whenever you’re in a market where demand outstrips supply then branding is really of little importance, other than building reputation and standing. It’s when you get to the other situation where supply outstrips demand that branding becomes absolutely critical.” Over the coming years, branding will be a growing imperative for companies who wish to create and sustain their competitive advantage in China. However, building the appropriate values, presence, and identity that will appeal to distinct local, community and business cultures is a highly complex process. Branding within China requires strong local insights, motivated and respected local staff, and careful tailoring of the brand messages.